After a three-year long crawl, the Bayou Bridge Pipeline is officially operational. The pipeline began to flow crude oil across the southeastern portion of Louisiana — from Lake Charles to St. James Parish — on Monday. Unfortunately, it was not an April Fools’ prank. The cold reality — snaking through the continent’s largest river swamp — is a 163-mile knife that has been pressed against the throat of the people and wildlife of the Gulf South. Though the Bayou Bridge public relations website presents that the “project will have no adverse effects to threatened or endangered species,” it is hard to believe that an oil line that is “75 feet wide, with deep trenches to accommodate 24-inch-diameter pipes” would not have any impact on the Atchafalaya Basin’s flora and fauna. Beyond the basin, the pipeline spells danger for the Gulf of Mexico. The pipeline ends in the heart of what is known as “Cancer Alley.” With an infamous history of oil spills in the state, Bayou Bridge can and will impact more than the parishes that it runs through. The cities that are downstream from St. James — one of which being New Orleans — can find themselves in the midst of an environmental disaster that has the possibility of derailing a healing ecosystem that has faced catastrophe after catastrophe. 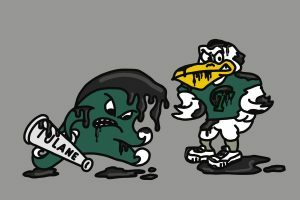 Tulane has endured its fair share of connections with the oil industry, both good and bad. Tulane believes that, as a research university, it “is perfectly positioned to develop innovative solutions to balance growing demands for energy with responsibility to the environment and people who live in it.” With such a declaration, one must hope that Tulane would have fought against the pipeline. Sadly, that has not been the case. In a region that is rampant with environmental disenfranchisement, the greed of industry prevails over continued silence. Energy Transfer and Phillips 66 Partners’ Bayou Bridge Pipeline is not the first instance of this. Unfortunately, if nothing is to change, it will not be the last. 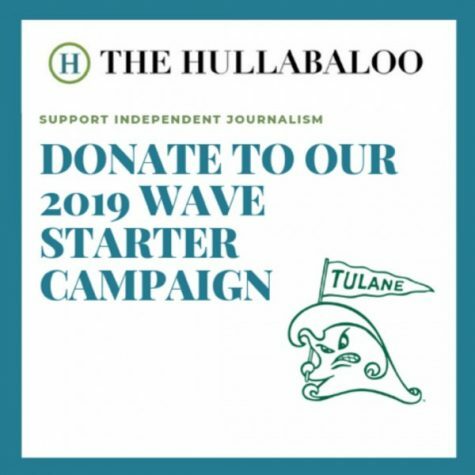 If Tulane truly wants to see itself be an influence in the region and the nation, it must be ready to stand up to the oil industry and raise disenfranchised communities. Time and time again, Tulane’s continued silence on this issue and the issues surrounding the University in New Orleans has assisted in the oppression of people of color and lower-class backgrounds throughout Southeastern Louisiana. 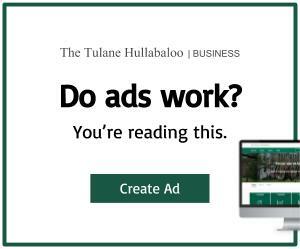 Tulane’s unwillingness to act has not only lowered quality of life of the state, but, it may very well spell doom for itself, Southeastern Louisiana and the Gulf. Get your facts straight! Tulane Environmental Law Clinic DID fight the Bayou Bridge Pipeline.